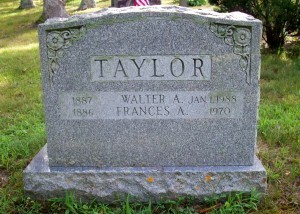 Died: July 18, 1970 in Pocasset Ma. 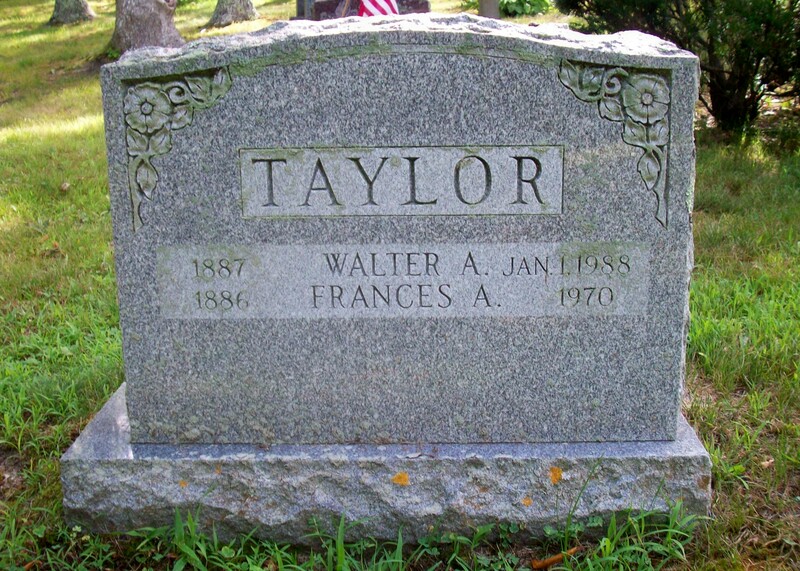 at 84 yrs, 4 mos, 26 d.
To: Walter A. Taylor; (1887 – 1988) (Wesley Taylor & Jeanette G. Campbell); Walter married (1) Margaret Neily (1882 – ?) (Alexander Neily & Mary A. Maynes) in Somerville Ma. on May 1, 1912; That was Margaret’s second marriage; She was divorced from her first husband.